Tonight was movie night, which meant I picked out a DVD of a movie I haven’t seen yet. There are several good new releases out. Based on the recommendations of several people, I chose to watch Divergent. Divergent stars Shailene Woodley, Theo James, Ashley Judd, Tony Goldwyn and Kate Winslet. It is directed by Neil Burger and is based on the novel by the same name, by Veronica Roth. This action/sci-fi is rated PG-13, for violence, and has a run time of 2 hours and 19 minutes. Set in a futuristic Chicago, which is surrounded by a protective wall, society within is divided into five factions. As each person reaches young adulthood, they are tested to see which virtue is strongest, determining which faction they fit in. Abnegations are selfless and serving, Amities peaceful and kind, Candors honest and blunt, Dauntless brave and reckless, and Erudites are intelligent and cunning. The aptitude test determines the virtue and yet the teen makes the final decision about which faction he or she will join. The decision is permanent. Beatrice, later known as Tris (Shailene Woodley) comes from a family of Abnegations. She knows, before she takes the aptitude test, that she doesn’t have those traits. Her aptitude test shows she has several virtues, making her a Divergent. The test giver tells Tris, “You’re different. You don’t fit into a category. They can’t control you. 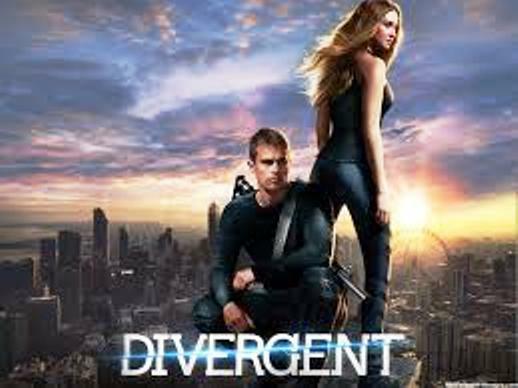 They call it Divergent.” She warns the teen to remain silent about her test result or she will be killed. Tris makes the decision to leave the Abnegations, and her parents, played by Ashley Judd and Tony Goldwyn, joining the Dauntless faction. She and the other newcomers must go through a rigorous initiation and training process before being fully accepted into the faction. The Dauntless, being the warrior group, are charged with protecting the city and its inhabitants. Tris’ secret gets out, Four has one of his own, and the Erudites put into action their own secretive mission. The whole society begins coming apart, all because of fear. The movie concludes, but it is really the springboard for the next in the series, called Insurgent, which releases in theaters in 2015. This was an interesting futuristic film to watch. Gritty and tense, the acting was well done and the storyline flowed well. Having seen the movie, I’d like to read the books. The central theme of the movie is about being an individual and refusing to fit in, for family, for society, even for the sake of peace. Tris knows who she is not. During the movie, she begins to find out who she is….and what she is capable of. She discovers her gifts, her virtues and the beauty of not fitting in. The secondary theme of Divergent is fear. Jeanine, and the Erudites, fear anyone who is different, anyone who shows strength outside of their faction. Independence is seen as dangerous and destructive. The greater good, in Jeanine’s opinion, is to fit in and be controlled, be safe. I can’t watch a film like this without thinking about my own journey from fear to freedom. The need to fit in, to stay safe, by conforming to what my particular faction said should be true for me, kept me small. Like Tris, I knew who I was not, long before I was able to know who I am and embrace that glorious self. The definition of divergent is to develop in different directions. That has been my journey the past 4 years. I have cut loose from fear, embraced who I am, and grown, in multiple directions. When Tris tells Four that everyone fears something, Four says to her, “Fear doesn’t shut you down, it wakes you up!” I love that. 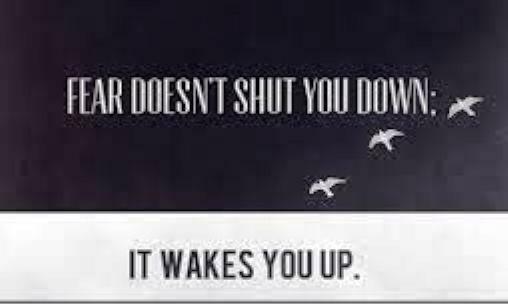 What an amazing way to respond to fear, to awaken. I am awakening. I am divergent.